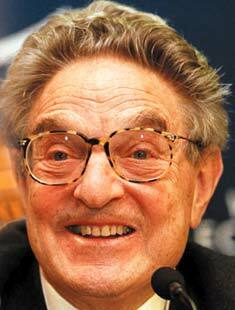 The INET Bretton Woods summit, summoned by George Soros and those who alternatively hide behind, or gather around him, has now happened. But before trying to analyze whatever we may discover of what occurred there, it is critical to discern how it fits an overall picture. For context, one must also see what the IMF and World Bank “communitarian” elitists are up to. We find that before the Bretton Woods affair, focusing upon “new solutions,” there was a similar IMF meeting, called “New Ideas for a New World.” It was centered upon “Post-Crisis Policy Making” and occurred March 7-14. That gave some of them a lot of time to communicate and plan in quiet (the traditional word for that is conspire) when they were not attending official sessions, or making videos. Then, we see that Soros’ April 8-11 conference ended just as the IMF and World Bank took up their April 11-17 Spring Meetings, just a limo ride away. “Blossom of Spring, won’t you bloom and grow?” Let us see what is budding in this intensive series of conferences, by the first one’s own promotional vid. Here is a collection of pitches for “New Ideas for a New World.” Hey, they left out the last word, “Order.” Could it be that some of them know their version of order requires fomenting massive disorder first, the crises not to be wasted? They also left out the word “Brave,” before “New World.” Maybe that is because some of them like Huxley, have qualms. This video puts their dexterous foot forward about that March 2011 conference, while their sinister footfalls go on. So who are these dudes, getting together and yukking it up (well, three out of four globalist manipulators seem to approve) and just how spooky are they? What are the messages of the Big Money priests, to the unwashed, PITI-ful masses of principal, interest, taxes, and insurance payers? Ahead of the G20 finance minister summit in Nanjing scheduled for today, the French president proposes to boost the capacity of the International Monetary Fund to supervise currency markets. He also wants Special Drawing Rights to become the currency of reference. Hong Kong – French President Nicolas Sarkozy wants to enlarge the G7 to better manage currency markets, expand the International Monetary Fund’s oversight capacity in the field, and to the IMF’s currency basket, Special Drawing Right (SDR), the currencies of emerging economies, like the Chinese yuan. The SDR is monetary unit of international reserve assets defined and maintained by the IMF itself. The French leader made the proposal at a G20 meeting of finance ministers in Nanjing, China. “Greater supervision by the IMF” of nations’ balance of payments and reserves “appears indispensible,” Sarkozy said yesterday at a one-day seminar ahead of the summit. For him, the proposal can become operative right away. “France supports modifying the IMF’s status to expand its oversight capacity,” he noted. This can counter what he views as a “proliferation of unilateral measures during crises resulting in a new financial protectionism in which all economies suffer”. The G20, currently chaired by France, has been discussing ways to improve currency market stability and prevent currency wars. Western nations, led by the United States, have been pressuring China to revalue the yuan, seriously underestimated in their view (by up to 40-45 per cent), and unjustly boosting Chinese exports on world markets. The French proposal has not been welcomed by either the Chinese or the Americans. “Global monetary reforms should be carried out in a pro-active and gradual way. The reform process will be a long-term and complex process,” Chinese Vice Premier Wang Qishan said in his opening remarks at the summit. Years ago, Beijing first raised the issue of replacing the US dollar as the currency of reference with SDRs (see “Beijing reaffirms the urgent need to replace the dollar with a global currency,” in AsiaNews, 27 June 2009). However, it also does not want to lose control over its own currency. As a barb against the French proposal on currency market reform, Chinese President Hu Jintao during a meeting with Sarkozy yesterday spoke about the crisis in Libya. “The aim of the UN’s resolution is to stop violence and protect civilians,” he said. “If the military action brings disaster to innocent civilians and creates a bigger humanitarian crisis, that would violate the original intention of the Security Council resolution”. US Treasury Secretary Timothy Geithner also criticised the French plan. For him, the biggest flaw in the current situation is the inconsistency in exchange rate policies. In a thinly veiled reference to China, he noted that some emerging countries ran tightly managed currency regimes that fuelled inflation risks in their own economies, magnified appreciation pressures in others and led to calls for protectionism. Before any change is made to the SDR, countries “should have flexible exchange rate systems, independent central banks and permit the free movement of capital flows,” Geithner added. At some level both Washington and Beijing do not want to rock the boat, the Americans because they do not want the dollar to lose its role as a currency of reference, and the Chinese do not want any sudden changes. As the world’s largest holder of foreign currency, two thirds in US dollars or US Securities, any rapid depreciation of the US currency would negatively affect China’s huge reserves. 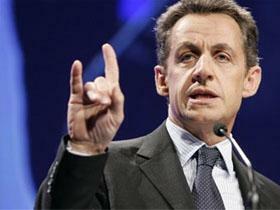 Experts believe that Sarkozy himself does not expect any immediate results but rather that he is preparing the ground for the G20 summit in Cannes (France) in 2012. The goal is not only to seek a more “stable and resilient” monetary order, but also prepare himself for France’s presidential elections. 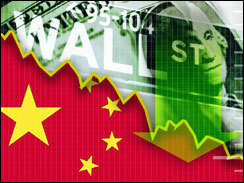 (AP) WASHINGTON – China, the biggest buyer of U.S. Treasury securities, owns a lot more than previously estimated. In an annual revision of the figures, the Treasury Department said Monday that China’s holdings totaled $1.16 trillion at the end of December. That was an increase of 30 percent from an estimate the government made two weeks ago. The government made the change to its monthly report based on more accurate information it obtains in an annual survey. That survey more does a better job of determining the actual owners of Treasury securities. China was firmly in the top spot as the largest foreign holder of U.S. Treasury debt even before the revisions. But the big increase in Chinese holdings could ease fears that Chinese investors might begin dumping their U.S. holdings. Such a development could send U.S. interest rates rising. That would slow America’s economic recovery and increase Washington’s costs for financing the $14.3 trillion national debt. China and Britain were the countries with the biggest revisions in the new report. The amount of U.S. Treasury securities held by Britain fell to $272.1 billion in the new report. That’s a drop of $269.2 billion from the last monthly report which put the Britain’s holdings of U.S. debt at $541.3 billion. The holdings of the two countries often show big revisions when the annual report is released. The reason for the change is that Chinese investors who purchase their Treasury securities in London are often counted as British investors. The more detailed annual report does a better job of tracking the countries in which investors reside as opposed to the location where investors make their purchases. Even with the revision, Britain remained the third largest holder of U.S. Treasurys. Japan had the second highest foreign holdings, totaling $882.3 billion at the end of December. The revision was only slightly below the original estimate. The total foreign holdings of Treasury debt stood at $4.44 trillion at the end of December, according to the new report. That’s up 1.5 percent from the estimate made two weeks ago. About two-thirds of U.S. Treasurys owned overseas are held by foreign governments and central banks. The U.S. government is selling huge amounts of debt to finance record-high budget deficits. The Obama administration in its new budget released on Feb. 14 projected that this year’s deficit will reach a record $1.65 trillion. It would be the third consecutive year the federal deficit has exceeded $1 trillion. The move comes after the European Union and International Monetary Fund pledged a nearly $1 trillion defense package for the embattled euro. WASHINGTON – The Federal Reserve late Sunday opened a program to ship U.S. dollars to Europe in a move to head off a broader financial crisis on the continent. Other central banks, including the Bank of Canada, the Bank of England, the European Central Bank, the Swiss National Bank and the Bank of Japan also are involved in the dollar swap effort. The move comes after the European Union and International Monetary Fund pledged a nearly $1 trillion defense package for the embattled euro, hoping to calm jittery markets and halt attacks on the eurozone’s weakest members. The ECB also jumped into the bond market Sunday night, saying it is ready to buy eurozone bonds to shore up liquidity in “dysfunctional” markets. The Fed’s action reopens a program put in place during the 2008 global financial crisis under which dollars are shipped overseas through the foreign central banks. In turn, these central banks can lend the dollars out to banks in their home countries that are in need of dollar funding to prevent the European crisis from spreading further. The Fed said action is being taken “in response to the reemergence of strains in U.S. dollar short-term funding markets in Europe,” and to prevent the spread of that strain to other markets and financial centers. A so-called “swap” line with the Bank of Canada provides up to $30 billion. Figures weren’t provided for the other central banks. The arrangements are authorized through January 2011. The debt crisis first erupted in Greece. Fears that it could spread to Spain, Portugal and other eurozone countries. The crisis has pushed up demand for the U.S. dollar and has sharply weakened the value of the euro, the currency used by 16 European countries. Eurozone ministers and the IMF this weekend approved a $140 billion rescue package of loans to Greece for the next three years to keep it from imploding. The Fed had wound down these crisis-era programs with other central banks in February, along with other emergency programs to get lending flowing more freely again and return stability to financial markets. At that time, financial strains in the United States were easing, and the Fed began to take steps to move policy closer to normal. It also had begun to lay out a plan to reel in the unprecedented stimulus money pumped out during the crisis. The Fed’s balance sheet ballooned to $2.3 trillion, more than double where it stood before the crisis struck. The program reopened on Sunday will expand the Fed’s balance sheet, economists say. However, the program poses little credit risk to the Fed because the arrangements are with other central banks, they added. Historians may someday debate whether the financial crisis that began a year ago is most notable for how much damage it did to the United States, or how little it inflicted on the world’s major rising power, China. Helped by huge state intervention and buoyant optimism almost surreally undiminished by the crisis of confidence across the Pacific, China has had a very good downturn. It is closing the gap with the world’s most developed economies faster than anticipated and could overtake Japan as the world’s second-largest economy when the final figures for last year are tallied. China’s already rapid emergence is changing many things, from diplomatic alliances in Africa to the status of the dollar as the world’s favorite currency. It may also open minds to a provocative thesis that, until a short time ago, might have been dismissed as breathless hyperbole. In “When China Rules the World,” Martin Jacques, a columnist for The Guardian of London and a visiting scholar at the London School of Economics, argues that China will not just displace the United States as the major superpower. It will also marginalize the West in history and upend our core notions of what it means to be modern. This bold assertion, he acknowledges, rests on the assumption that nothing will derail the political stability and economic dynamism China enjoys today. It is not clear that even the most senior leaders in Beijing share Jacques’s faith in that forecast. But the future is unknowable, and his extrapolations are, if not provable, at least plausible. The strength of his book lies in his exhaustive, incisive exploration of possibilities that many people have barely begun to contemplate about a future dominated by China. Unlike Britain, the United States or Germany at various times during the past 200 years, China is not emerging on the world stage as a new, powerful nation-state. It is, instead, as one Chinese writer put it, regaining “lost international status,” becoming the first ancient civilization to re-emerge and reclaim its position as a dominant power. China was the wealthiest, most unified and most technologically advanced civilization until well into the 18th century, Jacques points out. It lost that position some 200 years ago as the industrial revolution got under way in Europe. Scholars once viewed China as having crippling social, cultural and political defects that underscored the superiority of the West. 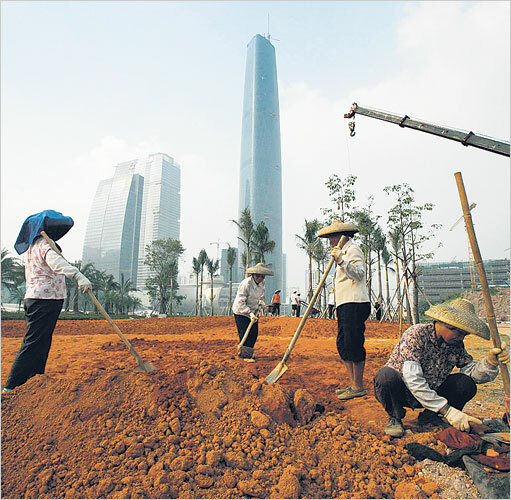 But given the speed and strength of China’s recent growth, those defects have begun to look more like anomalies. It is the West’s run of dominance, not China’s period of malaise, that could end up being the fluke, Jacques writes. Skyscrapers and stock markets in China look like those in the West, of course. But Jacques argues that the country’s cultural core resembles ancient China far more than it does modern Europe or the United States. It is accumulating wealth much faster than it is absorbing foreign ideas. The result, he says, is that China is nearly certain to become a major power in its own mold, not the “status quo” power accepting of Western norms and institutions that many policy makers in Washington hope and expect it will be. Joseph Kahn is a former Beijing bureau chief and now a deputy foreign editor of The Times. In a graphic illustration of the new world order, Arab states have launched secret moves with China, Russia and France to stop using the US currency for oil trading.